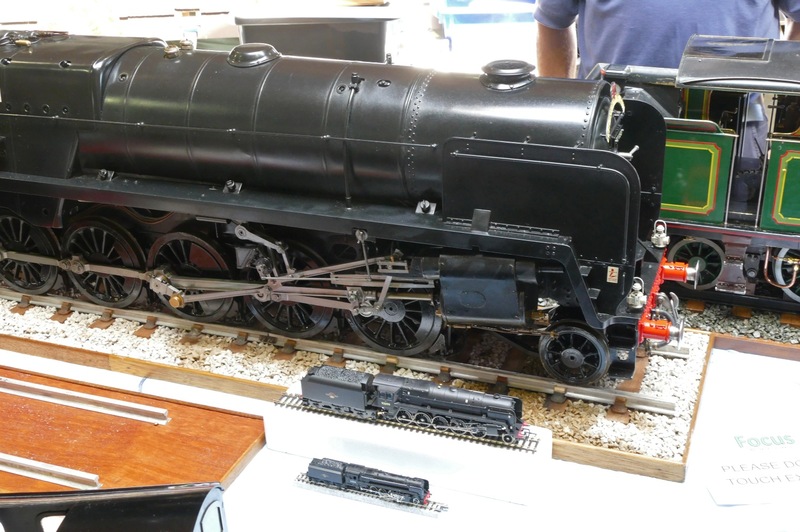 The NFMRS exhibited some its club layouts at the Model Railway exhibition at Exbury Gardens. This was the first event on its kind there and was organised by Phil, a NFMRS member and also an Exbury Gardens member of staff. The event took place over Father's Day weekend - when else? - on 18 June 2017. On the previous Friday the layouts were set up in the Exbury Gardens carriage shed and exibited there all weekend before being removed on the Monday. 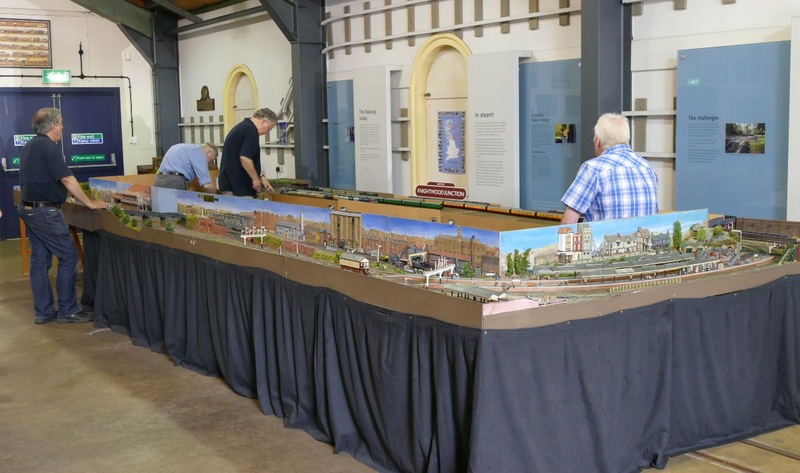 The exact number of visitors is unknown, but as around 750 had a ride on the trains so probably around a 1000 came to see the model railway layouts. This was a good attendance considering that the weather was very hot, reaching 340 during the afternoon. The exhibition was free entry. The exhibitors kindly donated their incurred expenses to the 'Pilgrim Bandits Charity' which provides for injured ex servicemen and women. NFMRS layouts there were: Canal Street, Knightwood, Holybank, Helstowe, Brockhampton and Milford on Sea, all of which are featured in this website's 'Layouts' page. Also making an impressive exhibit was John Linnell's 'Red Deer Pass' which some of you may remember being exhibited at our May exhibition. 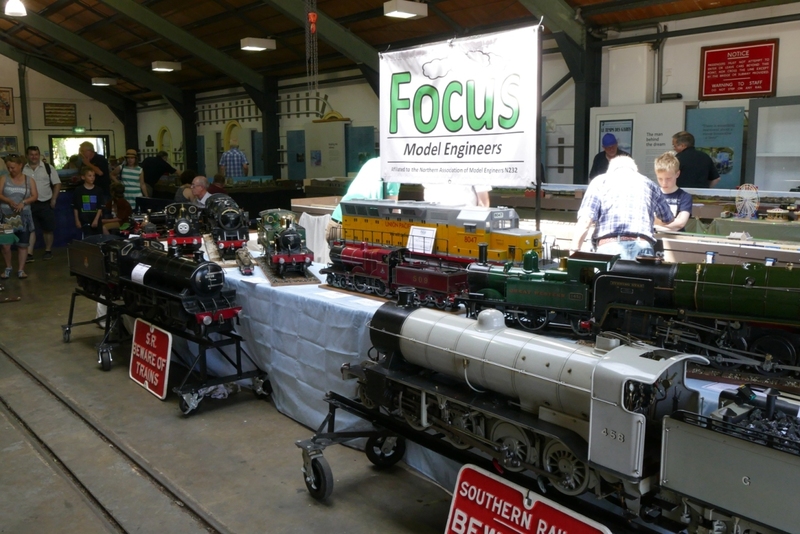 For those with high ambitions in model engineering, Focus Model Engineering brought along seven 5.3 inch gauge locomotives as static displays. And there was also the opportunity for a bit of buying and selling with trader John Henderson. And because of the success of the exhibition the Rothschild family have invited us all back to do it again on Father's Day 2018. 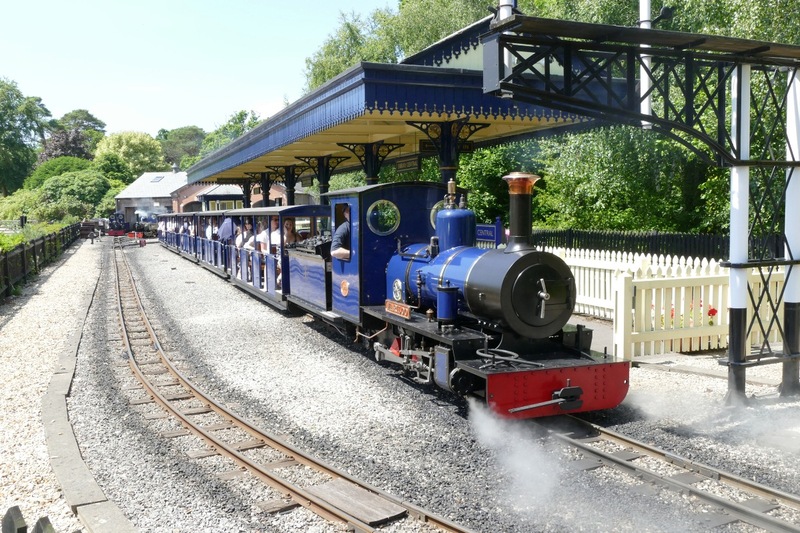 We hope that those that visited us enjoyed their day out and if you visit Exbury Gardens next Father's Day remember to visit the carriage shed and see what's on display. Some photos taken during the weekend are below. 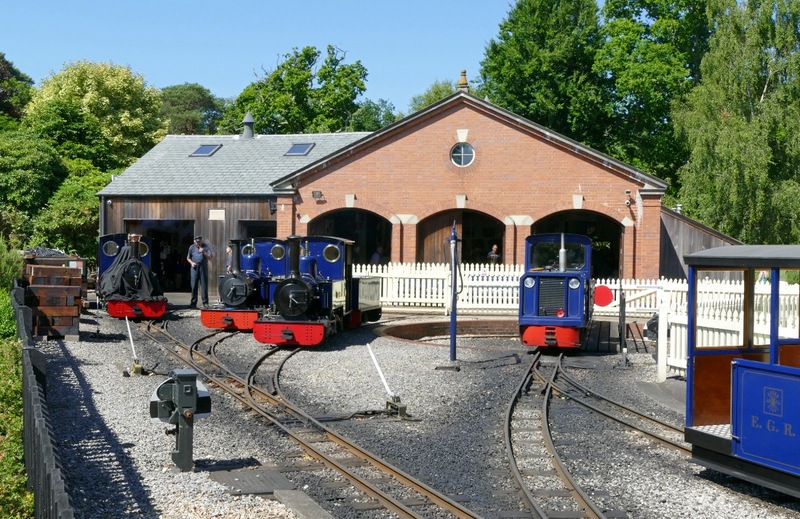 The lovely engine shed at Exbury Gardens where the exhibition took place. The steam trains run most days the gardens are open. 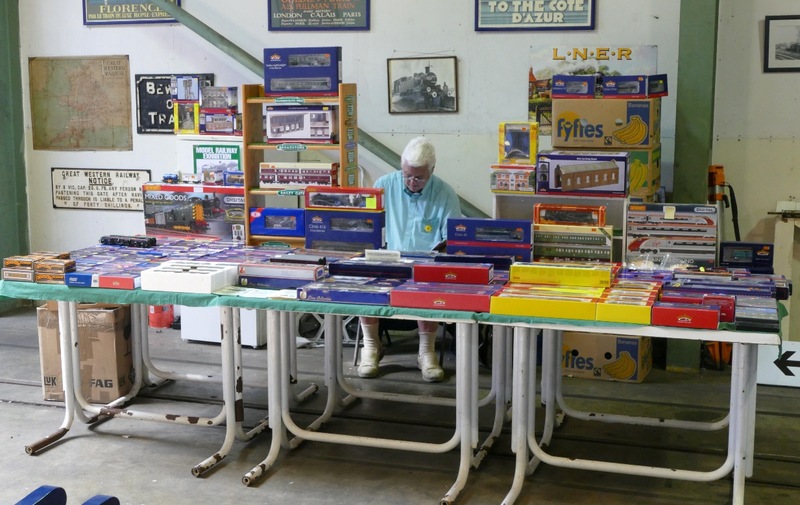 ... the model railway exhibition inside the shed. and the impressive Red Deer Pass was also a huge assembly. This brought an international feel to the exhibition (!) depicting a Canadian Pacific route. This shows the vast difference in size between an N gauge, a OO gauge and the 5.3 inch locos. The Focus Engineering models were just fantastic in their detail and workmanship, and represented many years of work to complete. 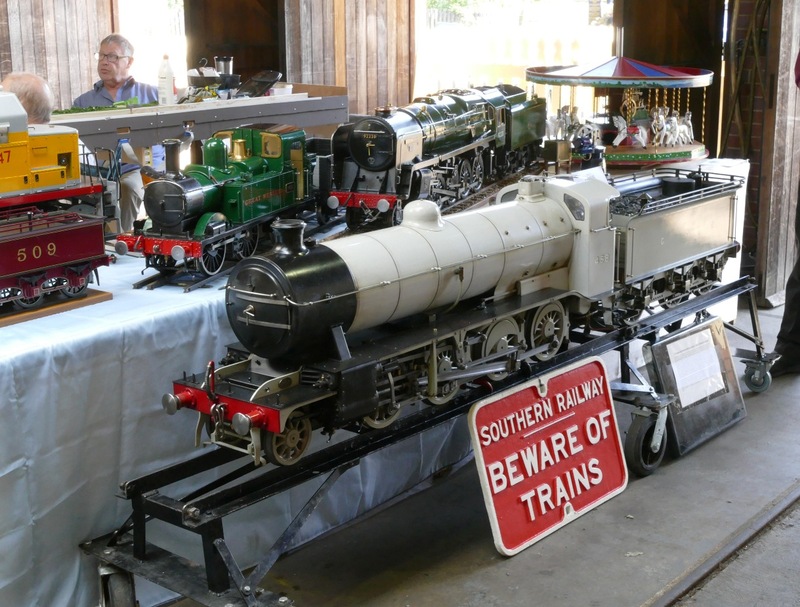 This display took some time to set up because the locos are not only large but heavy. ...and of course there was the chance to ride a real steam train around the gardens.